In August 2016 we draw Your attention to the leading "new clean energy" company Hanergy, which suffered a severe failure at HK Stock Exchange, and then proposed to Russian Ministry for Development of the Far East to revive an old plan for a giant dam to harness flow of the greatest untamed river of Asia. This attempted murder of the Amur River was halted by swift concerted action by environmental journalists, WWF-Russia, other RwB Coalition-members and allies, indigenous groups, local experts in academia and resource management agencies. Even Russian hydropower companies refused to discuss this proposal with Hanergy. As a result planned agreement on this project was not signed at the Second Eastern Forum in Vladivostok despite promises to do so published on web-sites in China. The first month of this year brought the final (as we hope) chapter to this story. The Securities and Futures Commission of Hong Kong is seeking legal action to disqualify five former and current directors of mainland solar energy firm Hanergy Thin Film Power Group , including the company’s founder and former chairman Li Hejun (on the photo above), from being directors or being involved in the management of any Hong Kong corporation for up to 15 years. The SFC alleges that the five directors failed to question the viability of Hanergy’s business model which relied on the sales of solar panel production systems to its connected parties, Hanergy Holding and its affiliates, as its main source of revenue; and failed to properly assess the financial positions of the connected parties and hence the recoverability of the receivables due from them as a result of these connected transactions, they also failed to take proper steps to recover these receivables by putting the interests of the connected parties before that of Hanergy, and so did not act in Hanergy’s best interest, according to a statement released by the SFC . Meanwhile, the SFC is also seeking a court order to require Hanergy’s parent company－Hanergy Holding Group Ltd－the one that threatened to dam the Amur River - pay all outstanding receivables due to Hanergy under various sales contracts and execute a guarantee securing their payment. The first hearing of the petition will be in the Court of First Instance on May 21, 2017. The trading of Hanergy shares has been suspended for more than one and a half years. The company may get the permit from the SFC to resume trading, under the condition that the company’s five directors agree not to contest the SFC’s application to disqualify them and that the company shall publish a disclosure document providing detailed information on the company, its activities, business, assets, liabilities, financial performance and prospects to address the SFC’s concerns that led it to suspend trading in Hanergy’s shares. However, the statement mentioned that there is "no assurance" that the SFC Board will agree that the trading of Hanergy’s shares can resume. 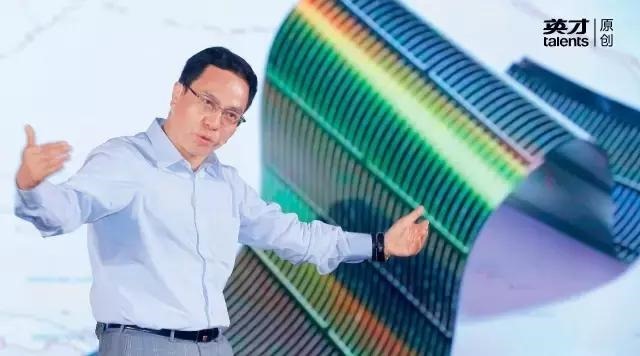 Hanergy responded by saying that the company has and will continue to use its best endeavors to fulfill the above-mentioned requirements and will seek to resume trading of its shares as soon as possible. The Company’s response stresses that “Mr. Li Hejun and the four independent executive directors do not intend to contest the Section 214 Proceedings” – i.e. they do not plan to disagree with SFC’s allegations when those are brought to the courts. To be “green”, among other things, means to be responsible for the consequences of one’s actions and to adhere to certain moral standards. The RwB hopes that the High Court of Hong Kong will make proper decisions in May.